I really don't remember where I heard about this book, but I wish I did, so I could thank them. I Mooched this book, after putting it on my TBR list based on someone's recommendation. I just got around to reading it, and now I can't wait to read Lauck's other books. The book is a memoir, telling the story of a few years in Lauck's childhood. Just a few years, but they are important and traumatic ones. Lauck's life started out much like any other child's - mother, father, brother, and sister all live together happily in a little house. Dad works and mom stays home with Jenny, while her brother B.J. is at school. But Lauck's mother is not well. She has a number of ailments, which cause her to be frequently hospitalized. The family has to move from their happy home in Carson City to California, so Mom can be treated, and things begin to go downhill for Jenny quickly. B.J., in a fit of rage, reveals that Jenny is actually adopted (although he is not). Eventually, Lauck's mother succumbs to her illnesses. Dad starts to see a woman named Deb, who doesn't like Jenny and only tolerates B.J. She has three children of her own who treat Jenny horribly. Dad and Deb marry and then Dad has a heart attack, leaving Jenny and B.J. (who now wants to be known as Bryan) to fend for themselves against the enemy. Deb tries to keep the family together for a while, but then, seemingly inexplicably, Deb separates Jenny from the rest of them and sends her off to live in a commune, which I believe was operated by the weirdo cult church that Deb belonged to. It was the late sixties and early seventies in California, so there were all kinds of interesting (and sometimes dangerous) groups in the area. Anyway, Jenny lives int he commune for a while, with little adult supervision, except for the couple who run the kitchen and who show Jenny some of the only love she knew in her sad childhood after the death of her father. She stops going to school. She has some of her belongings stolen by a fellow commune dweller. She is almost sexually assaulted by a man who helps her move her things back to Deb's house, once she is allowed back. Finally, her aunt and uncle find her and bring her back to her real family to live. 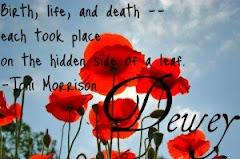 It appeared that Deb had been hiding the whereabouts of the children from their grandparents and aunts and uncles, so she could keep the social security checks that were sent after their father's death. So Jennifer Lauck grew up in a terrifying, loveless environment, not usually understanding much of what was going on around her. And I mean, this book made me CRY. I cried throughout almost the entire thing. And yet, I could not put it down. It was so powerful, so sad. As bad as the stuff was that happened to Jenny, I still kept expecting something even worse - that thankfully never happened. Lauck did a masterful job of depicting how frustrating the complicated world can be for a young child to whom things are never explained. She also adroitly portrayed the loneliness and sadness of a kid who was orphaned and unloved by those around her. It was absolutely heartwrenching, and I only kept hoping that things would turn around for her. Highly recommended, especially for lovers of memoirs. Five out of five Whatevers. There are three follow-up books, which I didn't know about before I read this one, and I am going to seek them out as soon as possible. The last published book in this series! I feel like I've been reading it forever, even though it hasn't even been a year since I read the first one. This entry in the series was another Kindle book that I purchased through Amazon. 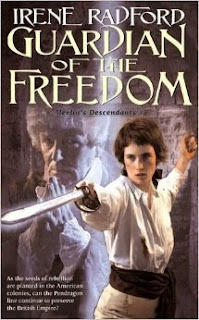 The book follows another descendent of the Merlin, Georgina Kirkwood. She prefers to dress and act like a man, wearing pants, using men's weapons, even serving in the military. However, wars eventually end, and Georgie, as she is known, has to return to her brother's home to keep him (the current Pendragon) alive and help the Pendragon line continue. Something dark haunts the castle and threatens the family and it's up to Georgie to figure out what and stop it. Her suspicion falls on her cousin Barclay Marlowe, and his father. They seem to be trying to usurp the power of the Pendragon Society, each for their own end. Georgie is sent to the New World to spy for the King. On the ship across the ocean, she meets Roderick Whythe, a man she knew slightly when in the military. Can she protect her secret double life? Will Barclay Marlowe succeed in calling up a demon long trapped behind a magic portal? Will he or his father be able to corrupt the Pendragon Society and take power from the true Pendragon? I liked this book very much. Georgie was probably my favorite protagonist in the series, aside from Arylwren in the first book. I liked her affinity for throwing aside societal conventions and following her own path. Four out of five Whatevers. I would suggest, if you plan on reading anything in this series, to start from the beginning. Although each book could stand alone, it would help to have the chronological background to the Pendragons. I found each book somewhat jarring at the beginning, because you never knew where in history it was going to start, or who the protagonist would be, but once you get a little way into the story, it all comes together. I finished this book before I went on vacation last week, on Saturday the 9th. I just didn't have time to write the review before I left because I LITERALLY finished the book a few minutes before heading to the airport to catch my flight to Ohio. And, over my vacation, I was too busy being a camel for my niece to ride on, shopping with my sister and mother at Ikea, and going out to eat with my family to have time to get to it. So, here I am, reviewing the book a week and a half later, which is really late for me. I usually try to review my reads right after finishing them, so I don't forget anything. If this review is somewhat lacking, it's because I've read another book (review to be posted shortly) since finishing this one! I Mooched this fourth book in the Emma Harte saga. I love this series. If you haven't read my reviews of the other books, the series is about the Harte family and their line of department stores (as well as the O'Neill and Kallinski clans, linked by friendship - and marriages - to the Hartes). Emma Harte, the matriarch of the clan, built her dream from the ground up, and her heirs continue to operate what she worked so hard to build. This book focuses on the great-grandchildren of Emma Harte, specifically Evan Hughes, India Standish, Tessa Longden, and Linnet O'Neill. It follows the lives and loves of the four women as they come into their own in the Harte dynasty. Linnet and Tessa continue to war over which will be the true heir to Emma's vision, while Linnet's wedding approaches and Tessa's soon-to-be ex-husband complicates her life. Evan struggles with whether or not to tell her father a secret she learned in the last novel, while navigating the turbulent waters of loving a Harte. India has fallen for an artist, but is not sure she can trust the womanizer to commit to her. Four out of five Whatevers. I really enjoy this series, and I'm not sure I can put my finger on why. I like the strong female protagonists. And Bradford manages to throw several curveballs at the reader. There are always crises befalling the characters, which maintain the reader's interest. There is only one of these left, that I know of. I'm not sure I'm ready to say goodbye to the Harte clan, but I can always go back and read the first (and best) of the novels again, to start all over with Emma Harte. I believe that I got this book from my mother-in-law. She had brought over a bag of books that she had finished, because she knew I loved to read, and I think this must have been among them. It is not something I would have chosen for myself, but I really enjoyed it. 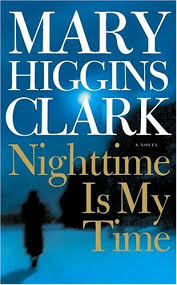 I've always heard of Mary Higgins Clark, but I'd never read any of her work. I wouldn't call it light, since the themes are actually very dark, but I guess it's fair to say it was an easy read. Not scary, per se, but pretty suspenseful. I finished it on Wednesday (it only took me two days - which is easier now that I'm not working), so I guess that speaks to how much I liked it. It was definitely hard to put down. The book is about Dr. Jean Sheridan, returning to her hometown of Cornwall-on-Hudson, which she was all too happy to move away from and forget, for her 20th class reunion. She arrives in town, along with several other members of her graduating class, including all of our (male) suspects and one or two potential victims. See, someone has been killing off girls from their graduating class, but the murders were done in such a way that they were never labeled homicides. They were made to look like accidents or suicides, and they happened in diverse locations over a 20 year period, so no one ever put it together that these girls all used to sit at the same lunch table in high school. Until the reunion. The Owl is the name the murderer has given himself. His identity is hidden until the very end of the novel. I was so sure I knew who it was halfway through the book, but it turned out that I was completely wrong. Guess I wouldn't make a great detective. The man investigating the case is Sam Deegan, who is haunted by a 20-year-old local murder that he could never solve. He learns that Jean (and her SECRET BABY THAT SHE GAVE UP FOR ADOPTION!!!) is at risk of becoming The Owl's next victim, and he sets out to solve the case. Yes, it was kind of a potboiler. Yes, it was kind of cheesy. Yes, there were so many crazy coincidences. Yes, it was kind of impossible to believe that anyone would put all this together in just the right way. But it was FUN. And I needed a good, fun, easy read after my last bit of non-fiction, as much as I liked it. Four out of five Whatevers. It is by no means a great flight of literature, but it served its purpose and entertained me for about 24 hours. And I'm all about every kind of writing, no matter what. Recommended for those who are already Mary Higgins Clark fans, for those who like quick suspense novels, and for those who need an easier read to sandwich between two great works of literature or non-fiction reads.